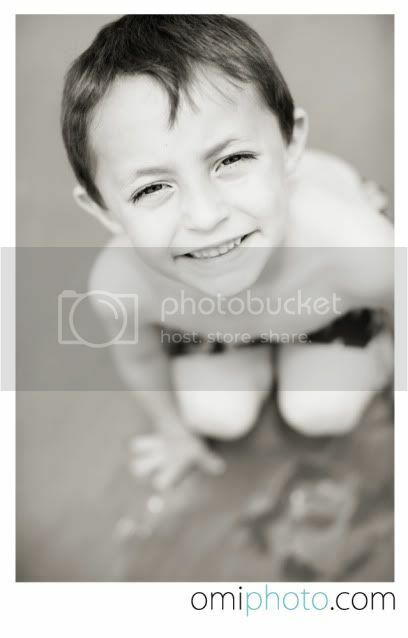 Naomi Masina Photography..Omi Photographer blog UTAH PHOTOGRAPHER: HAPPY JUNE! Summer is here! Hallelujah, AMEN! We made a special FIRST time beach visit for this kid. He loved it...but I gotta say, there is one bad thing about living away from the ocean. Oh..my bad. Did I just say ONE bad thing? Frankly, I can't think of one good reason to live AWAY from the ocean. Mmmmmmmmm. TSUNAMI TIDAL WAVES. Just thought of one. That's all I got. Okay, so our kids have NO kind of "BEACH ETIQUETTE." I was cringing and laughing at the same time. They were romping across blankets. Shaking sandy towels out into the faces of all our innocent by-standing beach goers. Standing in the beach bike lanes, like it was a sidewalk. Climbing into sand holes, un-dug by themselves. It was like a bad National Lampoon's Vacation movie. NOTE TO SELF: Get to the beach more! Nick is doing much, much better. I wanted to thank my wonderful friends, neighbors and family for all the help. I swear I would have had a thermo nuclear melt down, were it not for you. Tina, thank you for cleaning the house. You are the most selfless and wonderful friend in the world. I know I broke down crying like a crazy person, but SERIOUSLY nothing has ever looked quite so beautiful. Christy, Bron and Irene.....thank you for taking care of the kids. I honestly don't know what I'd do with out you all! OMi, What time did you post this! All I know is when the sun is shining over here...it's not quite time for the rooster to crow over there and I look on your blog only to see yet another lovely post. um yes, I do have a blog btw. I finally caught up to you...you are so fast girl. My heart was broken to hear about your devastating loss and yet strengthened at the same time as you reminded me about the gift of CHOICE. Something I can always work on. Love your dad. Love you. Happy Summer...and love your notes to self. Friends are the BEST!!! They are the nearest to family I have here and I trust my kids with them ANYDAY! Glad to know you all are doing better and that you're getting back to biz. Love the BEACH as well!!! Let us know next time you head down, we'll try surfing!? lol!! This was cracking me up cause I can see my kids doing the same. They have never been to the beach either. lol LOVE the picture of Rayce! My handsome little nephew! Have fun at The Workshop tomorrow Omi! 100 + FOLLOWER give away! Tali and Checka - Engaged "la Isla de Antilope"